" "Trulely gifted and talented"
Hire a pianist and make your next event come alive! 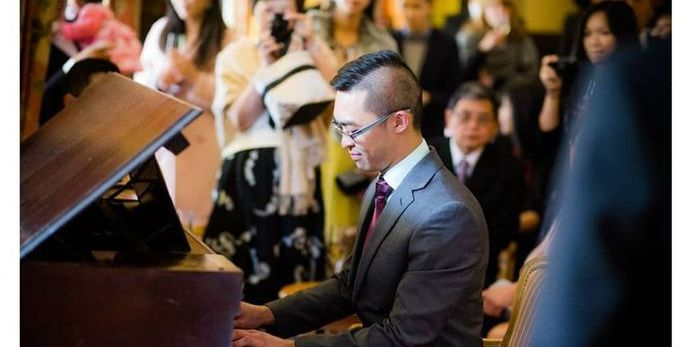 When hiring a professional pianist for your wedding, corporate function or private event, look no further than Melbourne pianist Calvin. Melbourne pianist Calvin can deliver an inspirational performance that will leave your audience entertained and captivated for hours! Melbourne pianist Calvin's natural ability means he can deliver an outstanding performance that leaves your friends, family and guests in awe! To hire or ask a question simply contact Melbourne pianist Calvin today. Since 2011, Melbourne pianist Calvin has been entertaining diners and guests as the resident pianist at the RACV Club. Watch Melbourne pianist Calvin live at the RACV Club on the following dates.